After their wedding on one of the last days of April, Kate and William delayed their honeymoon for a week. William has gone back to work the following Monday and Kate has spent her time shopping and keeping a low profile, stating that she will be a normal housewife, at least for now. According to People .com, William has 2 weeks off from his duties with his RAF Search and Rescue squadron and has taken his wife to some exotic place. The British tabloids speculate that they might have gone to spend their honeymoon to the Seychelles, in the Indian Ocean. Royal tradition says that the destination has to be kept a secret from the bride. In reality, there is no confirmed news regarding the exact location of the royal couple. The Palace spokesman stated that the couple had asked for their privacy during their 2 week romantic getaway. The wedding of the century has taken place at Westminster Abbey on April 29 2011. 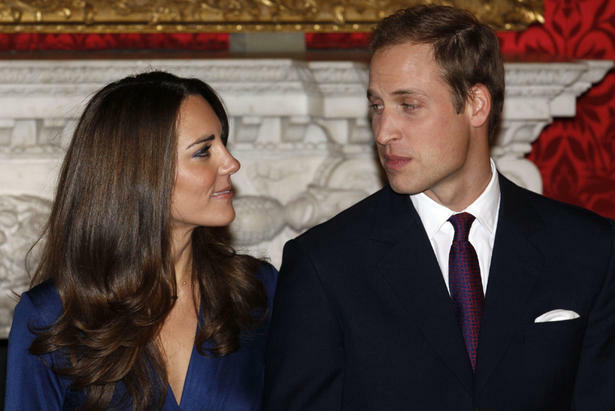 Prince William, 28, married Kate Middleton, 29. The wedding made the headlines of all press publications for days in a row. Every little aspect of the wedding was mediatised, from the bride dress, to the brides’ maids, to Prince Harry’s date, to Princess Diana’s commemoration and a lot more. The wedding dress (and the designers of it) was news by itself. It was said that it looked incredibly similar to the one Grace Kelly worn at her wedding. The engagement ring that Kate received was Diana’s engagement ring from Prince Charles. In regard with the wedding ceremony, thousands and thousands of people spent the night before the ceremony outside the Abbey in otder to get a good spot where they can see the royal couple’s first public kiss from. Tradition says the couple cannot share the first kiss as husband and wife inside the Abbey, so the two made it public, just outside the Abbey. Before the honeymoon and just after the wedding, Will and Kate had the weekend for themselves, before he got back to work. The destination of their weekend was again held from the press for means of privacy.